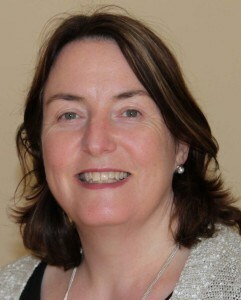 Salthill & Galway Psychotherapy – About Mary Kilraine Hannon, Counsellor, Psychotherapist and Play Therapist located in Galway City and Salthill. I am a qualified and accredited psychotherapist and counsellor in Galway City and in Salthill. I use play therapy skills to work with children under 12 years. My Galway psychotherapy and counselling practice is located in Galway city. My qualifications include a BA, MA (Health Promotion), Postgraduate Diploma in Integrative Counselling and Psychotherapy. In addition to this, I hold a Post Graduate Diploma in Play Therapy. Furthermore, I am accredited with the Irish Association of Humanistic and Integrative Psychotherapists. I use a humanistic and integrative approach to therapy. As a result, I am an integrative psychotherapist providing a person-centered approach at my Galway psychotherapy practice. This approach seeks to assist people who are in crisis, and who might be searching for meaning and purpose in life. We explore how our families and early life experiences shape us. I use sand therapy and creative arts to help people express themselves when words may be hard to find. My experience through my Galway psychotherapy clinic has involved a great deal. I worked with the HSE in the area of primary school health promotion. This concerned training primary teachers in mental health promotion and Zippy’s Friends programme. I also work as a trainer in sexual health promotion. As a result I train teachers, health staff and youth workers in how to talk to patients and clients about sexual health. I also facilitate suicide prevention training with the HSE. This involves training people in the ASIST programme. This skills-based programme helps people talk to others about suicide. Furthermore, it also helps reduce the stigma of suicidal thoughts and mental health issues. Finally, I work with the National University of Ireland Galway, Student Counselling Service, the National Counselling Service Galway and Pro-Consult Galway. My private Galway psychotherapy practice is located in Galway city. Areas of speciality for my Salthill and Galway psychotherapy clinics include: Child counselling, teenage counselling, adult counselling, anxiety, bereavement, depression, relationship issues, abuse, psychosexual issues, sexual orientation issues, suicidal thoughts and trauma. Psychotherapy Galway. Play therapy and counselling in Galway City. © 2015 Mary Kilraine Hannon psychotherapist. All rights reserved. Unite Theme powered by WordPress.